Anytime you find yourself locked out of anything, it is frustrating. Luckily, Ninja Locksmiths offer fast response times around the clock to ensure you aren’t locked out of your home, business or vehicle. Our friendly staff proudly serves our valued customers in the Palm Beach County, FL area and take pride in the locksmith services we have to offer. 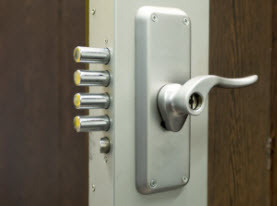 We can repair, replace or rekey any locks so that you have full access while still having the security you need. Ninja Locksmiths is a mobile locksmith, so we come to you in cities such as Wellington, Royal Palm Beach, Boynton Beach, Delray, Boca Raton, Jupiter, Lake Worth, Palm Beach Gardens, Riviera Beach & West Palm Beach County, Florida. Contact us today for all your locksmith needs! 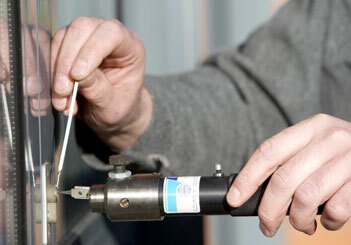 At Ninja Locksmiths, we provide our customers with a full range of automotive locksmith services. You want a locksmith that you can trust, and our highly trained technicians are just that. We strive to provide our customers with superior service that will far exceed their expectations. Whether you find yourself locked out of your vehicle and need a way in, or are looking for replacement keys, we are your top pick. 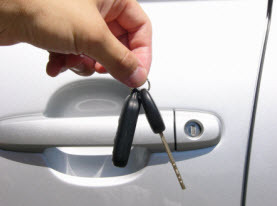 We specialize in replacement keys and can make any replacement car key, transponder key, fob and even remote starts. This includes all makes and models, foreign and domestic vehicles. Hopefully you don’t find yourself locked out of your house with no way inside, but if you do, you can count on Ninja Locksmiths to respond quickly as soon as you call for help. Also, if are in need of new locks, we have you covered. The thought of too many people having a key to your home can greatly affect your safety and security. Maybe you have had a roommate move out and you feel it would be best to have the locks changed; if your lock is still in good working order, you can have your locks rekeyed rather than replaced all together. Our expert residential locksmith technicians will come and inspect your locks and provide you with the information needed and recommendation to either replace the locks or rekey them. The locks on your commercial building are the first line of defense for your business. At Ninja Locksmiths, we provide a wide range of commercial locksmith services to help keep your business secure. Whether you are looking for maintenance and repairs, or need your locks rekeyed or replaced, you can count on us to get the job done. We can provide you with a master key system if you are in need of access to multiple units within a building or need access to all floors of the building. 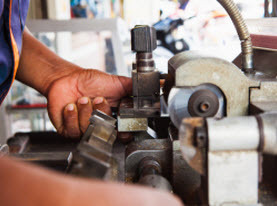 Let the experts at Ninja Locksmiths help you keep your business safe and secure with the highest quality locking system throughout the entire building. You can count on Ninja Locksmiths to cover all your locksmith needs no matter what time of the day or night. 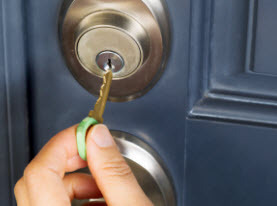 Our highly trained team of locksmiths will provide you superior customer service every time you choose us. Call us today for more information about our locksmith services.